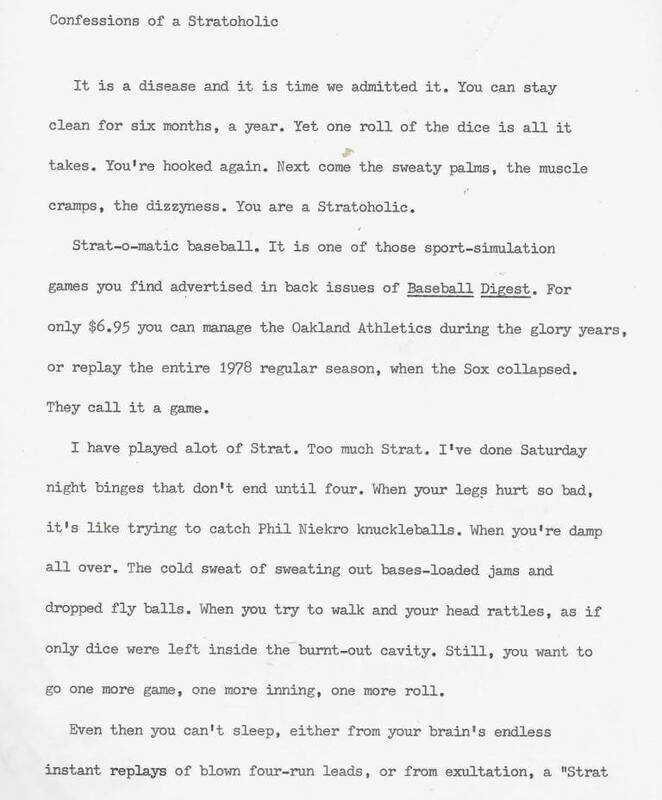 I am the 1982 Brown University Strat-o-matic League champion, having won the World Series four games to three. 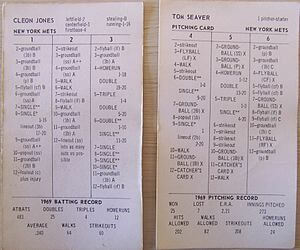 Strat-o-matic is a baseball tabletop simulation game in which players are represented by cards, on which are printed various ratings and result tables for dice rolls. In high school, I assassinated countless evening and weekend hours playing the game, mostly with friend Phil Ghyzel. The game was a useful sublimation activity for nerdy guys who had not yet mastered the dynamics of female companionship. Alas, my beloved dog eared cards were victims of that timeless crime: dear mom cleaning out the attic. Sophomore year at Brown I discovered its Strat League. Using my accumulated guile, I vaulted to the World Series and the decisive game seven. In Strat, pitchers are limited to a certain number of innings. I husbanded the innings of my star reliever Goose Gossage whose 1981 card remains one of the all time greatest. In that game seven, I started Rudy May but then brought in Gossage in the 4th inning with the intention of letting him pitch the next six innings. My opponent blanched and complained to the League Commissioner. In real life, Gossage would never enter the game in the 4th inning. The Commissioner did not fully approve, but ruled I was within my rights. As Goose mowed down batter after batter, my opponents’ rueful disdain smoldered. But I was the Champion. To this day, my feelings are mixed. Was it brilliant strategy or had I gone against the spirit of Strat by bringing in Goose for an unreal six inning win? From Baseball was better 45 years ago. So it was a thrill to be invited to Alex White’s Boldo’s Fall Classic League held on the second floor of Alex’s store on Monroe Avenue. 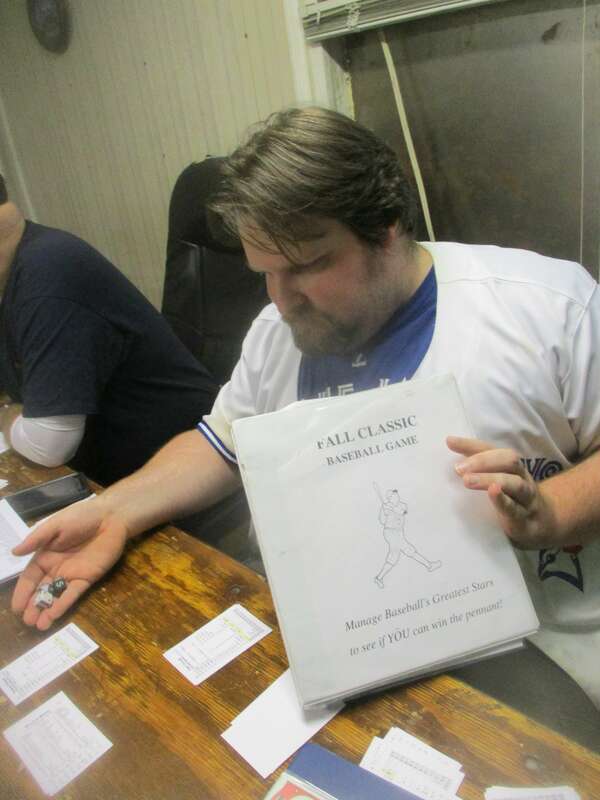 Fall Classic Baseball is a dice simulation game very similar to Strat. This year the League has drafted players from the 1971 season for a 36 game season culminating in a World Series. 1971 is special year for us. 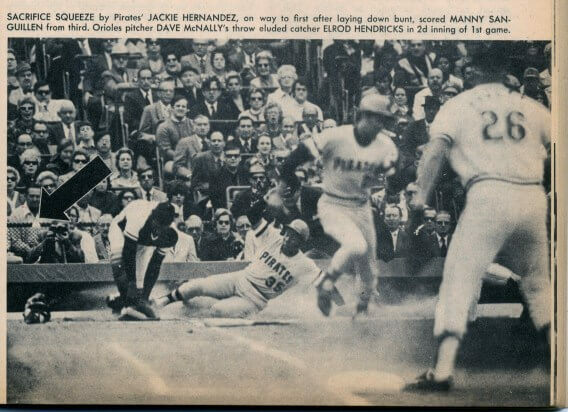 As seen in 45 years ago when the Pittsburgh Pirates fielded a team of “All brothers out there”, 1971 featured the first ever game in which an entire major league lineup were black or Latino players. Also, see Baseball was better 45 years ago. Thursday was Opening Night. 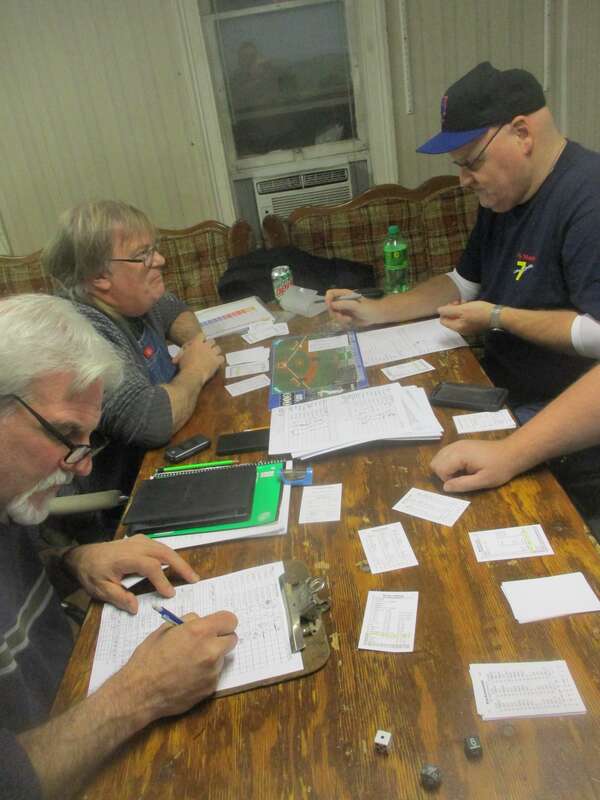 At Boldo’s six players gathered with cards, charts, rulebooks and dice ready to roll. 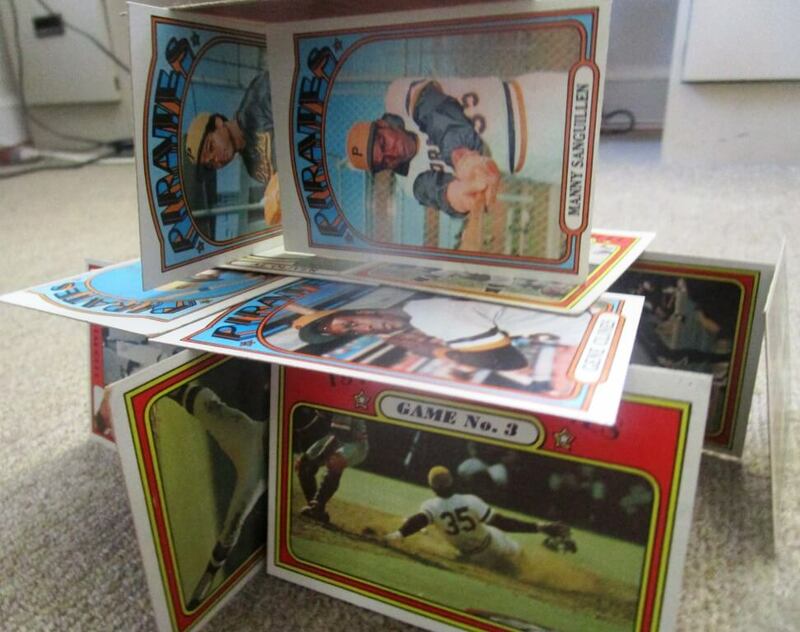 I even brought my 1971 cards so we could put a face on the paper cards. 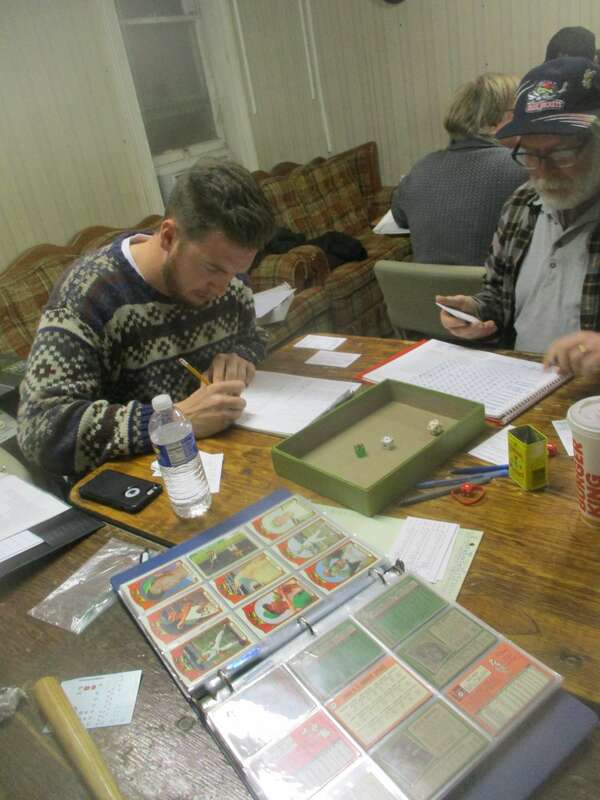 The six men, in their 20’s and above, know their baseball and their dice baseball. Most had cut their teeth on Strat back in the day. They knew of the immortal 1981 Goose Gossage card that was virtually unhittable. The Cincinnati fan could rattle off the entire post season record of the Big Red Machine; while the Oriole fan could give you Jim Palmer’s playoff stats from 1966 – 1983. Immediately, I was brought back to the highs and lows of the game. The players rolled the dice and rattled off the player’s names: Carew, Olivia, Clemente, Mays and Hunter. They experienced that moment when the charts and rules had to be consulted, waiting to see if the hit and run had sent the man to third or led to a strike em out throw em out double play. Alex was bemoaning that his opponent’s pitchers were getting hits, only then to endure a Tommy John infield rbi single. In the game I followed, Nick Hawes beat Ben Grimes 1 – 0 in an instant classic in which Vida Blue threw 11 plus scoreless innings. In the 13th inning, Ben’s pitcher fell victim to a play found on the Unusual Chart: a three base throwing error. Then he threw a wild pitch to let in the go ahead run. The magic of Strat is that we can envision and imagine that fateful inning. We can feel the pitcher’s unease after his throwing error. Was it a psychic meltdown that he followed the error so abruptly with a pitch in the dirt? A fatal mental flaw. Had he choked? Of course, there is not really a human element in Fall Baseball Classic or Strat. It’s just a random throw of the dice. It’s just a card not a person. Still I think the Goose Gossage card gleamed with pleasure when I sent him (it?) out for a six inning win in game seven of the 1982 Brown University Strat-o-matic championship series. Stay tuned as the season progresses. I discovered Strat O Matic before girls. When girls came along, goodbye Strat. But betweem 11 & 15, I loved it. I would always try to play a whole season, and of course, never could. btw, if you let Ron Davis pitch an inning, Goose would not have objected. Davis was his signal. 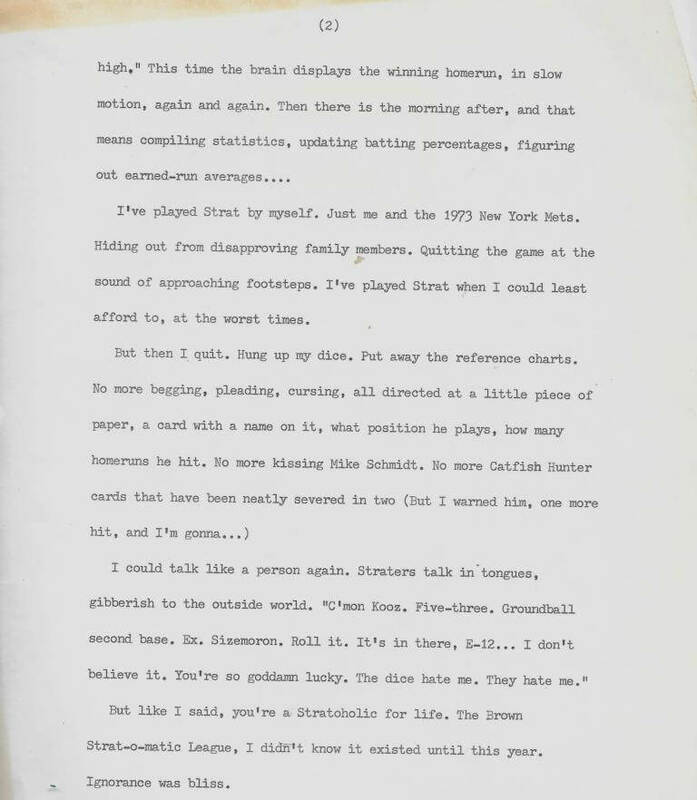 Written for Roger Henkle’s journalism class, 1983, Brown University. Alas, the rest of the essay is lost. 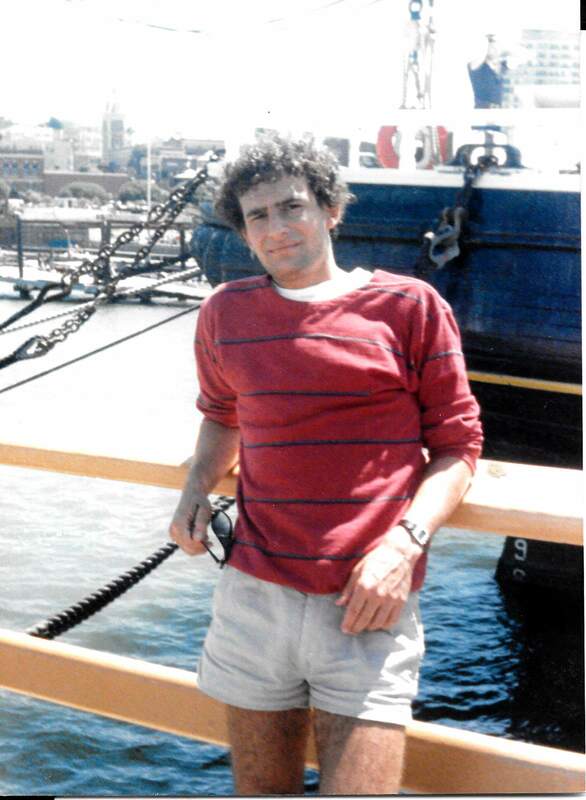 1982, Fisherman’s Wharf, SF. Still basking in the glory of the peak of a lifetime: the Brown University Strat-o-matic League champion. First snow fall in Highland Park. And contemplative dog walkers.